Earlier this week, a federal appellate court upheld a jury verdict in favor of Boston Scientific in a lawsuit regarding its Uphold brand pelvic mesh product. In the lawsuit, the plaintiff alleged that she suffered injuries after a surgical procedure involving Uphold mesh that took place in 2010. The plaintiff alleged that Boston Scientific’s product was designed in an unreasonably dangerous manner and that it failed to provide warnings regarding the potential risks and dangers associated with the product. In October 2016, the Federal District Court for the Western District of North Carolina concluded that the plaintiff failed to offer sufficient evidence showing that the product was designed in an unreasonably dangerous manner and granted a motion for partial summary judgment in favor of Boston Scientific. Additionally, the court concluded that the plaintiff did not support her claim that the company breached the implied warranty of merchantability regarding Uphold mesh. For a product to be “merchantable,” it must meet the reasonable expectations of buyers. 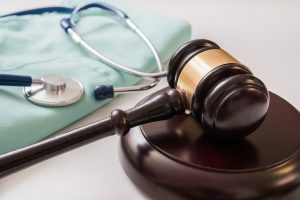 Also, the District Court concluded that the plaintiff did not provide sufficient evidence showing that her physician reviewed or relied on the allegedly insufficient warnings. After the court issued its ruling against the plaintiff, the plaintiff sought a reconsideration. At this time, she also offered evidence indicating that the doctor had read the materials, but the court concluded that the plaintiff would still have difficulty showing that the alleged harm and allegedly inadequate warnings were the cause of the injuries she sustained. The plaintiff appealed to the U.S. Court of Appeals for the Fourth Circuit, which unanimously upheld the District Court’s judgment. In reaching this conclusion, the court cited an affidavit from the plaintiff, stating that she would not have given consent to the use of the Uphold mesh if she had known about the risks. It also reviewed testimony from the physician. Based on these two items of evidence, the court concluded that the plaintiff “cited zero evidence” showing that either she or the physician reviewed the warning that the plaintiff deemed inadequate. The court also discussed a procedural issue with the plaintiff’s case, stating that motions for reconsideration cannot be used merely as vehicles to offer new evidence that was not submitted or available earlier during the litigation. In light of this and the court’s review of the evidentiary record, it upheld the lower court’s denial of reconsideration. If you or someone you love has been injured as a result of a dangerous medical device, the experienced transvaginal mesh lawyers at Moll Law Group are prepared to assist you with seeking the settlement or the judgment that you deserve. Having counseled victims and their families throughout the U.S., including in Illinois, Texas, Florida, and New York, we know what you and your family are going through. We will fight tenaciously for your rights and ensure that your interests are protected at each phase of the legal process. To set up your free consultation, call us now at 312-462-1700 or contact us online.